My name is Michael Ashby and I am the Service Manager here at Luxury Auto. I have been with the brand since 2010. When I am out and wearing our branded clothes the question I get asked the most is, “It must be cool to drive those cars?” In reality, I spend the majority of my time behind my desk finding solutions to our clients concerns. I have time behind the wheel of everything we service through quality control test drives and the random events I get invited to attend, but I have never used one of our cars the way an actual client would. This changed though when a few dates lined up perfectly. I had planned to attend the Vintage race weekend at Road America to watch our Marketing guru Ben Robertaccio race his Porsche 914-6. At the end of the week Maserati graced us with a Short Term Factory Demo Ghibli and I thought to myself, what a great opportunity to really experience life with a Ghibli. The car in question was a gorgeous Blu Emozione Q4 with all the boxes ticked. 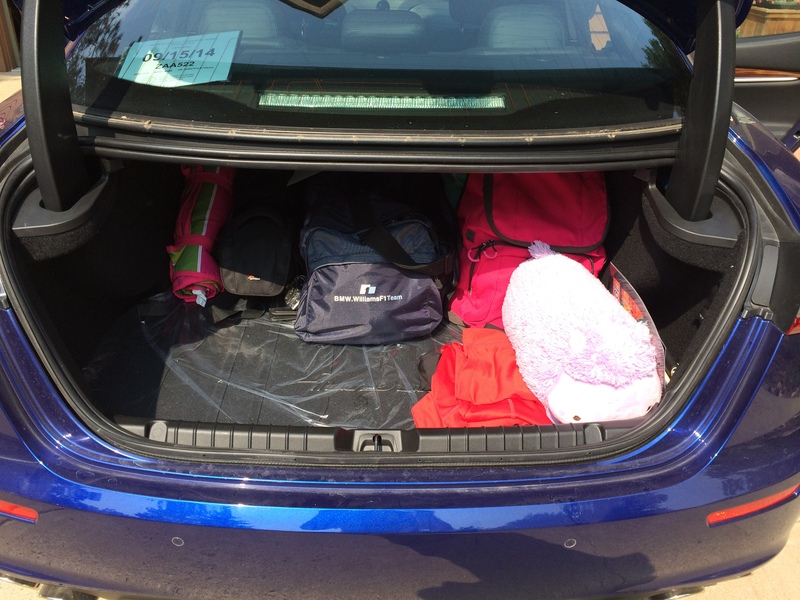 With all our gear loaded up and my two daughters sitting comfortably in the back we headed toward the Wisconsin border to spend the evening by the river. After an overnight stay we awoke at 3:50 a.m. and under the cover of darkness my wife Angie, my Dad, and I eased stealthily out of the neighborhood. Once clear of the sleepy homes the Sport button was pressed, the car barked, and we charged toward daylight and a racetrack that was five hours away. This was a great way of finding out how the car behaved on a road trip. My wife, Angie, deftly navigated the touch screen display and quickly paired our phones to the car. 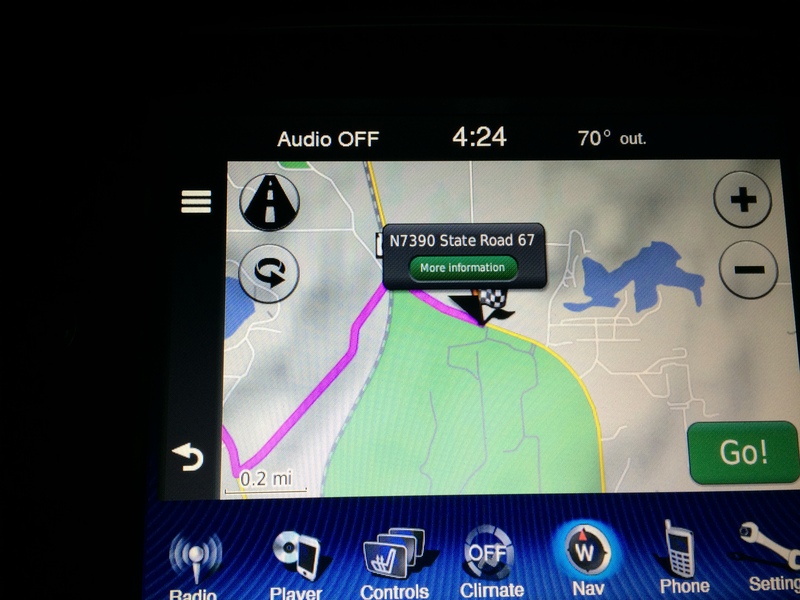 Road America was entered into the Garmin based navigation system with ease as we settled in for the ride. My Father is a gas mileage machine and sees it as a challenge to beat the manufacturer’s ratings on his personal car so after scrolling through the screen options we reset the mileage calculators to see how this car would fare. I was impressed with how well this car rode along the highway. We took it out of Sport mode for the lion’s share of the freeway slog as it benefits you none at all and it saves around 1500 rpm and a gear or two, the suspension soaked up the expansion joints with aplomb and for all the Sporting premise around the car the steering was well weighted and did not follow every groove on the road. 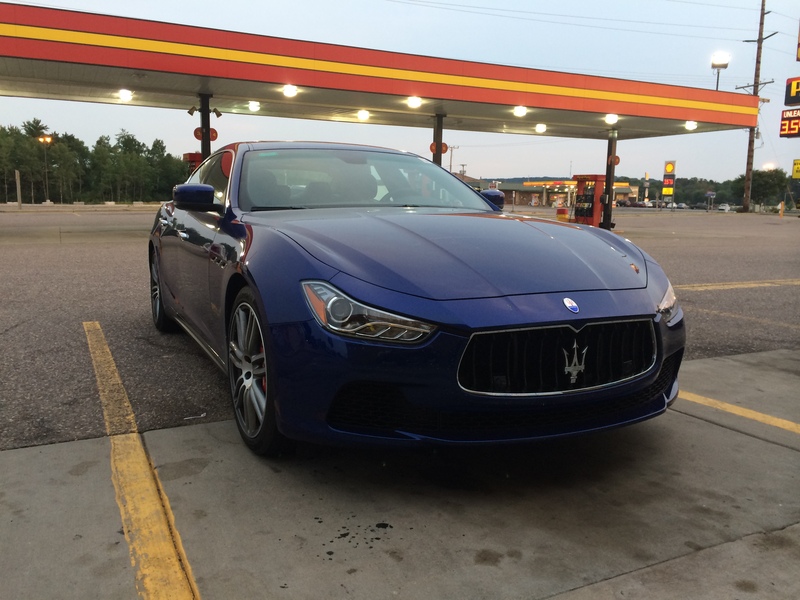 After a few hours we left the freeway and headed across Wisconsin and through some small towns, this is where we used Sport mode and employed the used of the aluminum shift paddles. Although the speeds were 25-30 mph, 1st, 2nd, 3rd gears were used to full effect and the exhaust sound of the twin turbo V6 echoing off the surrounding buildings and trees was extraordinary. Sightlines around the car are fantastic, not really any blind spots which always make navigating unfamiliar towns easier. A quick stop for refreshments allowed Angie to use the cooled center console, complete with two cup holders, to keep the requisite road trip Red Bull cool for later consumption. After brief discussion, she also found the cooling vent inside the glove box and turned that on to keep the fun size M&Ms that I crave from melting. 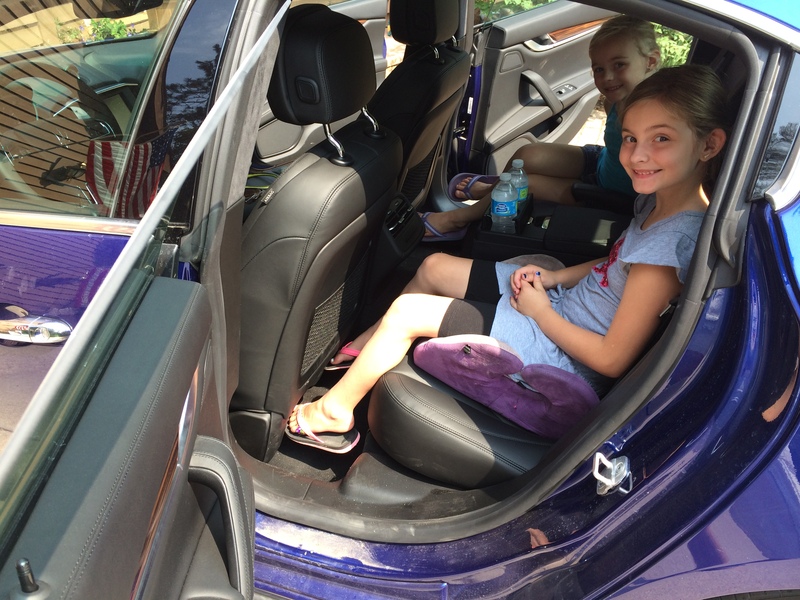 They may not melt in your hand but they don’t do well in a hot car on a hot day…. 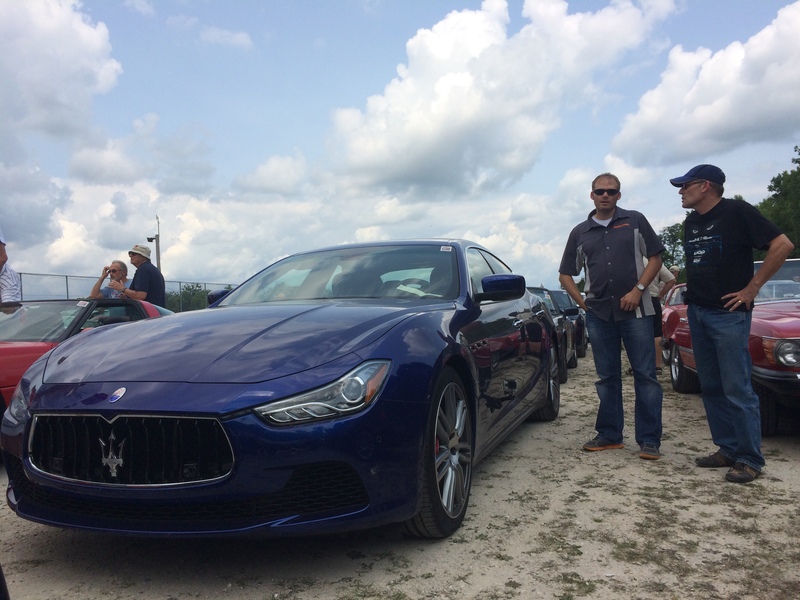 We arrived at Road America shortly after 9am and after reading the schedule for the day my eyes lit up when I saw there was track touring over the lunch hour. I signed up and paid the pretty ridiculous fee to experience the Ghibli on the track. I must admit that I am not unfamiliar with this track; I hold a pro level race license and currently compete in the Pirelli World Challenge Race Series. We had just raced here a few weeks prior so I was curious to see what it would feel like behind the wheel of a Maserati. As we eased onto the track, along with four pace cars controlling the speed limit of 55 mph. I was able to give my wife, Angie, and my Dad a proper view of the track from a driver’s perspective. Although the speeds were much lower on the Straights than I would typically experience through some of the corners we were able to properly exploit the correct racing line. We of course selected Sport Manual mode with ESC, electronic stability control, turned off. I was genuinely impressed with how quickly the Maserati performed the manual shifts and the poise it showed through some of the most famous corners in Motorsports; Turn 5, the kink and the Canada Corner. As the session came to a close and the car count dwindled we found a few gaps to push a little faster, Turn 5 was attacked with a little more authority and the run uphill to the Corvette Bridge was done at full throttle and I am sure the roll bar equipped Miata in front did not expect a searing blue Italian Sedan to get through a corner so quickly and the pass was made as we entered turn 6. Angie and my dad were likewise impressed by the Ghibli. I think the noise it emits on downshifts and the burble on upshifts was the big winner, but they also commented on how flat it cornered and they both have laps on Race tracks with other cars as a comparison. We left the track and parked with some of the other participants, many of whom wandered over to discuss the car and comment on how unique it was. We spent the rest of the day watching the fabulous on track action and witnessed Ben set his fastest ever lap in his Porsche during a great race. As the time came, we left with great memories and another long drive into the late evening. 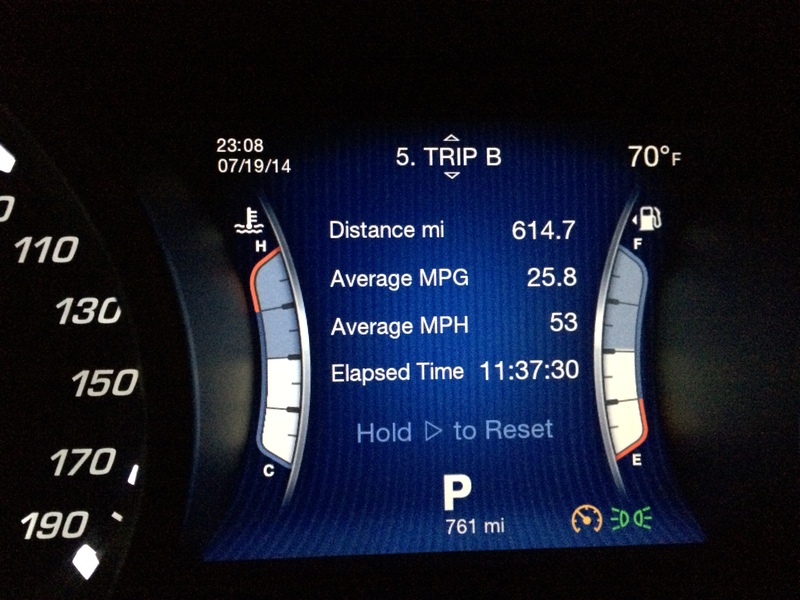 With the dynamically adjustable headlights piercing the night and the other occupants getting sleepy, I was left alone to draw some conclusions from what ultimately was eleven hours behind the wheel and a little over 600 miles. This car has the room to satisfy most families; I constantly got thumbs up and double takes wherever we went which shows that this car is special and rare. Once my phone was paired it worked flawlessly. I never had to select it and always picked it back as soon as we got in the car, something that may not be said of earlier models. The new system only made one mistake on the way to the track and the mistake was only to take two extra turns. We averaged 25.8 mpg for the trip, including 6 laps around the 6 mph over posted limits throughout the freeway stint and only used Sport mode on the track and short periods everywhere else, this was quite impressive considering this is a 410hp Twin turbo V6. The only real issue that I found with the car is now having a wife who wants one. …Not a bad problem to have really.